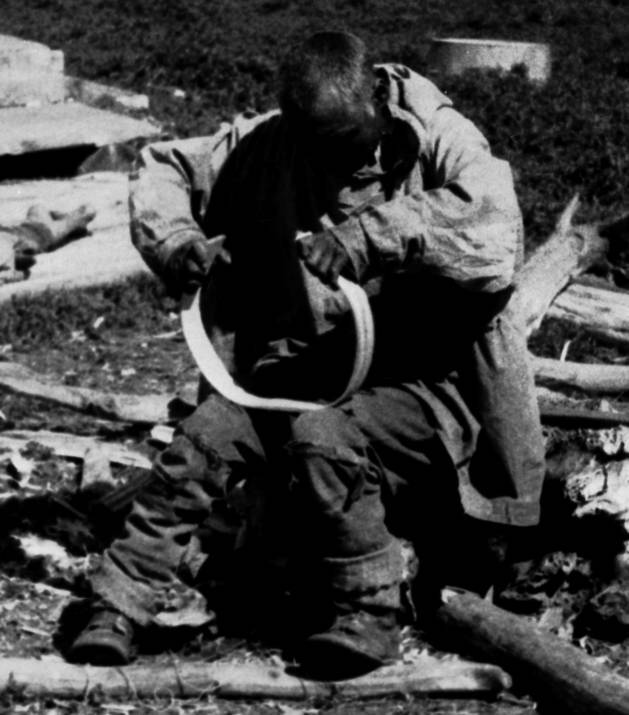 Yup’ik craftsman Vasil makes a bowl (4 in a series of 6). Here he bends the rim piece to join the ends, overlapping and securing them with root stitching. Jetland’s Post, 1936-1937. Hans Himmelheber, Courtesy of Eberhard Fischer and Anchorage Museum, HH fig91 neg16-26.